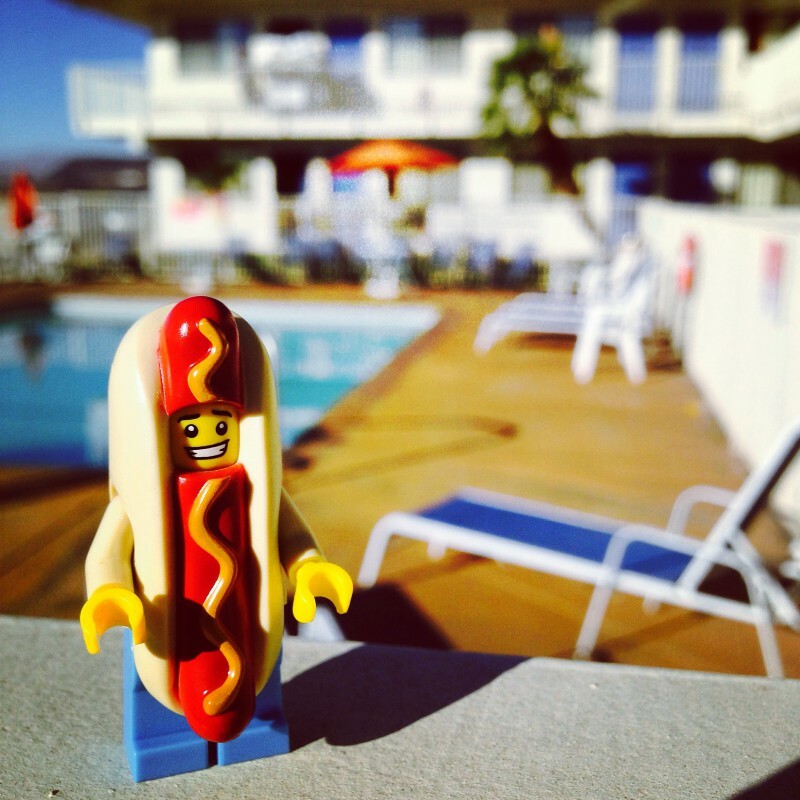 Hot Dog Suit Guy enjoys his time chillaxing by the pool! a point of time as measured in hours and minutes past midnight or noon. Both of these definitions are quite vague. The meaning that I will use for time is the value of our experiences and efforts and how it relates to progress and potential. When you look at time this way it becomes more personalized. It becomes my time and your time – each understood in only our own unique way. What kind of value can you place on your experiences and effort? What kind of value can you place on your progress and potential? This is very simple. So let’s think about this. What value does money hold? It is the medium of exchange not the item exchanged for. Sometimes it is the simple things that are difficult to understand. When you start trading your time for money you are actually trading something of infinite worth – one’s potential – for something that has no value in and of itself. This does not make sense. So why do we all have that goal to make tons of money and trade all our time doing it? Money represents our time, but if our time is spent in the pursuit of money, then what does our time represent? Lost time is a sad story. Lost time can never be bought or brought back. Lost time is regret. Trading time for money may seem like a good idea at the time but when you look back with a clear vision through the lens of time, money is no replacement for a life lived. Wealth is measured in time not money. When you start to value your time more than money – that is when you will start to make more of both. You will stop accepting peanuts and kids wages for your time because you value it more than that. When you value your time, you use it wisely to gain understanding and wisdom and knowledge wherever it is found. When you value your time, you use it in ways that make you and others happy. When you value your time you tend to put a higher value on yourself. Start today to look at what you would do if money were not needed. What are you truly passionate about? What are your dreams? What would you trade your time for even if it did not bring you money? Focus your energy on that instead of making money and you will find that you will eventually have true wealth – both time and money separated. Want more time and money? Do this.